Lincoln Zephyr Flathead V12 Motorcycle - Amazing Sound! Lincoln Zephyr Flathead V12 Motorcycle – Amazing Sound! 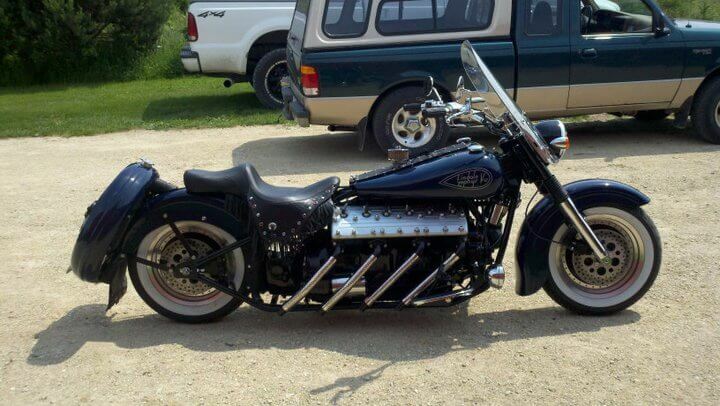 This amazing Lincoln Zephyr Flathead V12 Motorcycle was built by Dale Olson at Olsons V-8s. Olson’s V8s specialize in building motorcycles powered by Ford flathead V8s but this particular model is powered by a Lincoln-Zephyr flathead V12 producing 110 horsepower and 180 ft-lb of torque. How Atomic Bombs work and the science behind them! Velocita D’Epoca – Custom Ducati Cafe Racer By BCR Designs! Start Up Of a Rolls Royce Merlin V12 Engine! LSX powered DW86 and the mightiest tire-destroying drift ever!